Contact customer service advisors at Yorkshire Water by calling their national phone number 0345 1 24 24 24 to make a payment towards your bill, to open a new account and to switch to a monthly direct debit tariff. You can also phone this helpline to manage your online account by resetting your username or password so that you can view upcoming bill dates and paperless statements regarding your water usage. Furthermore if you are moving home you should call this customer care helpline to notify Yorkshire Water, if you are moving out of their supplier area they will then send you a final bill. Moreover you can call this telephone number to submit a meter reading so that you avoid estimated bills which may be significantly higher compared with your actual usage. Similarly if you believe your meter is recording inaccurate readings you can phone this number for technical support and to request an engineer to examine the fault. You can phone Yorkshire Water from 8am to 8pm seven days a week however closures may be in effect on UK bank holidays. Calls to their customer service phone number 0345 1 24 24 24 are charged at standard local rates which apply to 01 and 02 area code phone numbers, thus you can contact Yorkshire Water for free if you have free inclusive minutes on your landline or mobile calls package. Contact Yorkshire Water on their textphone helpline number 0345 1 24 24 23 if you would prefer to receive typed messages on your minicom device from a customer service advisor due to hearing difficulties or a severe speech impediment. Phone Yorkshire Water to report a water leak on their freephone emergency contact number 0800 57 35 53 where you can notify them of burst pipes in your area. In addition you can call this helpline for free if your taps are not working and if your drinking water smells of pungent chemicals. You can also contact them to notify them of faulty drains which are leading to localised flooding on your property, similarly if you observe an unsafe manhole cover in the Yorkshire area please notify them as quickly as possible to prevent an accident occurring. 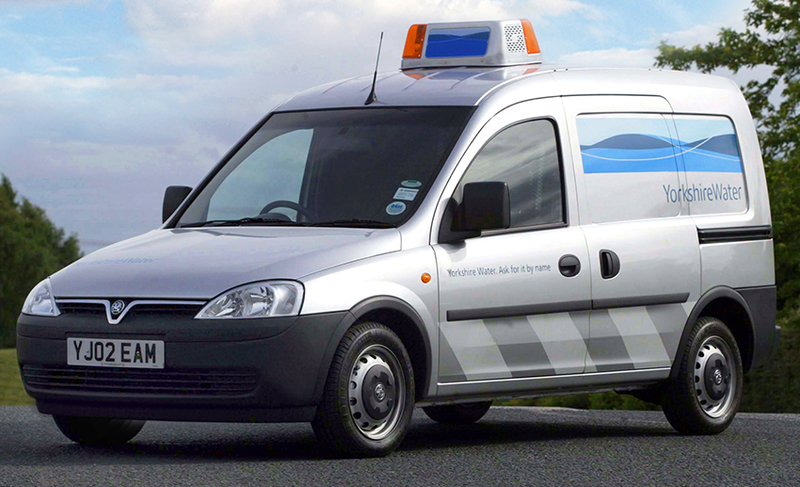 This emergency freephone service is free to call from all UK landline and mobile telephones and is open 24 hours a day. Phone Yorkshire Water on this freephone helpline number 0800 694 4167 to contact their affiliated insurance provider, Homeserve, to get a quote to protect your plumbing pipes and drainage systems. If a pipe on your property bursts you can call this helpline for free to make a claim on your policy and for assistance in cleaning the damage. Moreover you can phone this helpline to renew your existing cover and to upgrade your package to include protection for your boiler. 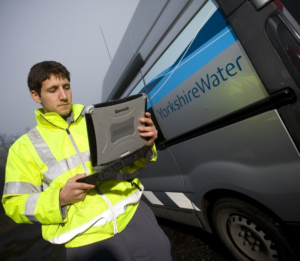 Customers who would prefer to contact Yorkshire Water in writing can do so by either sending a letter to their dedicated postal address, by sending an online message or by posting on their public social media profiles. Send postal messages to Yorkshire Water by writing letters to their customer service postal address which is provided below, although as this is a slow method of communicating you should call their telephone numbers to report flooding emergencies and water leaks. You can contact Yorkshire Water by email by going to their UK website where you can also find helpful advice, links to live web chat advisors and a full list of FAQs. Social media has become a powerful tool for utility companies such as Yorkshire Water to advertise their rates and provide customer service advice to those living within their supply area, links to several of their profiles are provided below for your convenience.